Sea Horse for the Horses of Honor Public Art Program to benefit the Chicago Police Memorial Fund. 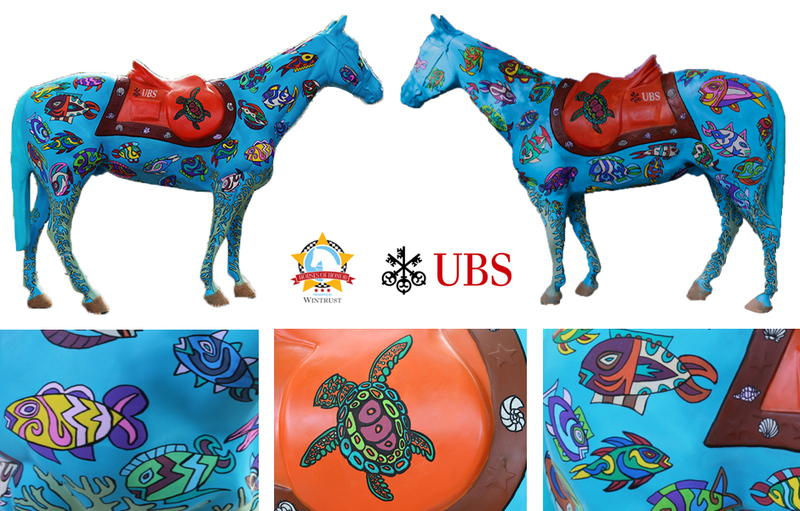 The sponsor for this horse is UBS Finacial Service who deserve strong applause for supporting a great cause in this public art initiative. The horse has 60 unique fish executed in 4 and 5 color palettes, along with two saddleback tortoises on the saddle and coral running down the legs to the hooves which are coated with real sand. The Sea Horse will be on display at 1 North Wacker Avenue through the end of September 2015.